You’re invited! Visit us at CANASA’s Security Canada Central this week in Toronto for your chance to explore the latest technologies. The ADI booth #105 is set to showcase some of the hottest products in intrusion, IP, video surveillance, connected home solutions, AV and more. 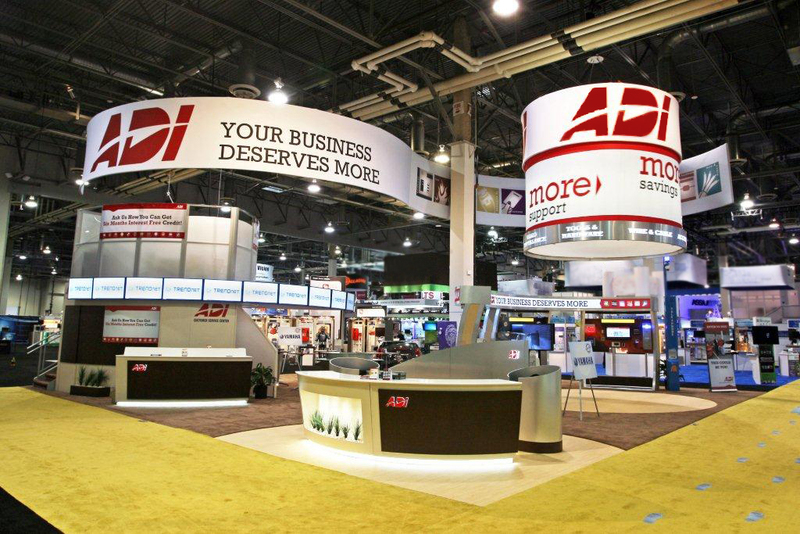 ADI’s booth will offer full functioning product displays so dealers can really get an understanding of the technology and discover new opportunities for growth. Our IP video surveillance display will feature the Axis Camera Companion solution and QNAP NAS storage. The Axis Camera Companion offers a simple video surveillance solution for 1-16 camera installations, and using the QNAP NAS offers the ability to have a media server and security storage built into one NAS unit. Visitors will get to see an array of cameras from Arecont, Axis, Flir, Digital Watchdog and more. With increased focus across the market on the connected home, we’ve designed a solution area equipped with Z-Wave enabled products including Honeywell Tuxedo Touch™ and Honeywell Total Connect™, Leviton Z-Wave(r) Universal Lighting Controls, Kwikset and Yale Z-Wave Locks and smarthome and networking products from D-Link and Trendnet. Attendees can enjoy the sounds of Bose premium brand performance with the Lifestyle® 135 Series II Home Entertainment System, and see all the options to wirelessly stream music with the SoundTouchTM 20 and 30 Wi-Fi® Music Systems. Stop by and see how you can bring this premium brand performance to all entertainment like TV, movies, sports, video games and more. The ADI booth will also feature a 2-point Multi-Touch interactive display from BenQ where you will have the opportunity to experience ADI’s new Canadian website. With a friendly user interface and improved navigation, the site offers enriched product data, advanced online order capabilities, improved search and sort options, and complete account management. The new site helps you access the products you need, and easily shop and order online at ADI. ADI is also providing an opportunity for attendees to have a little fun at the show. You are invited to participate in our Passport to Vendors Program to learn about the latest technologies and enter to win a DeWalt Dream Workshop. Stop by ADI booth #105 for more information. ADI and our manufacturing partners will continue the tradition of hosting the best party at the show! The ADI Customer Appreciation Event is set to take place on Wednesday, October 22nd at the International Plaza Hotel and Conference Center. Don’t forget to pick up your tickets. We look forward to seeing you at the show! Click here to see more industry events where you will find ADI.